Carlos, a street-smart cheeky survivor from Galicia, Spain, must attend a long lost cousin’s wedding in Newark, NJ. Carlos accepts this tedious family errand because an old flame of his lives in nearby Manhattan. Aha, he manages to convince Gonzalo, the town’s sulky loser and unsuccessful soccer coach, recently dumped by his wife, to join him to have some fun in the city. 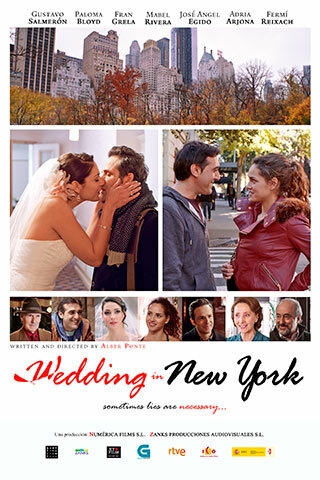 On the plane ride Carlos manipulates Carlos to take his place at the folksy immigrant Galician wedding so that he can run off to NYC to rendezvous with his hot ex. Carlos arrives to his ex’s old address only to discover she is long gone. But he doesn’t seem to mind, since a Colombian bombshell has moved into the same apartment. In Little Galicia in Newark, Gonzalo passes as Carlos. 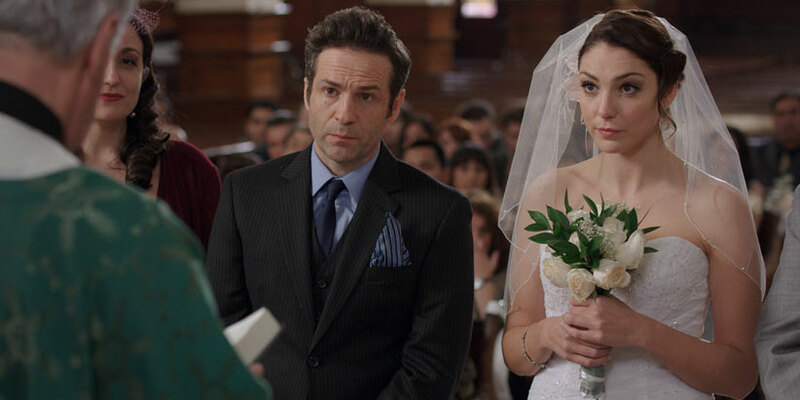 The wedding however gets cancelled when the groom gets cold feet. Since a lost brother from Argentina who is financing the wedding has arrived, the family asks Gonzalo, aka “Carlos”, to impersonate yet again now as the groom. He gladly accepts since the bride is gorgeous, smart, and funny. Gonzalo gets his old mojo back with this impersonation of an impersonation and both of them hit it off and enjoy the prank. Just what they need to get over their exes. Back in NYC, the real Carlos must attend a Colombian wedding himself to get the girl. With no suit she dresses him as a Colombian drug lord, who happens to be her lover at the wedding and whose suit Carlos is wearing. He must run for his life. In this screwball comedy of immigrants these two survivors must keep ahead of their lies or lose it all. When they meet at the airport for their return to Galicia, their lives have changed forever. Carlos, barely alive, will never set foot in the US again. Gonzalo, however, stays as the successful coach of woman’s soccer team full of hot players.